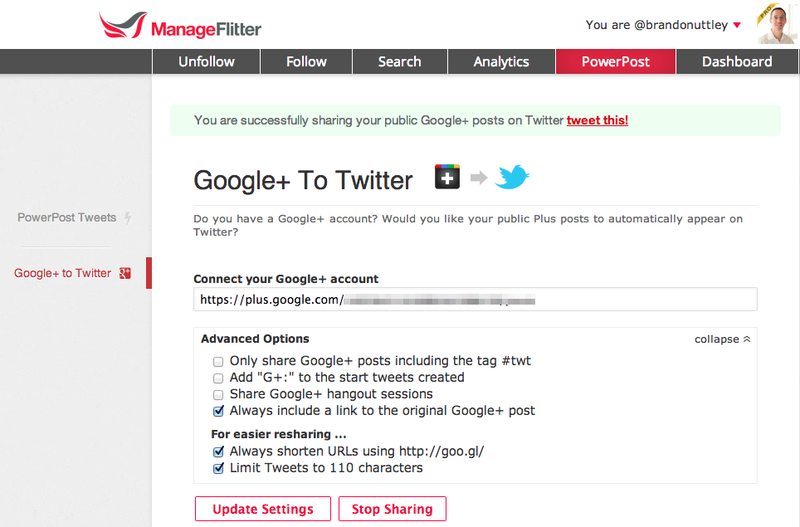 Clean Up Your Twitter Account With ManageFlitter | Brand On! Need to clean up your Twitter followers? 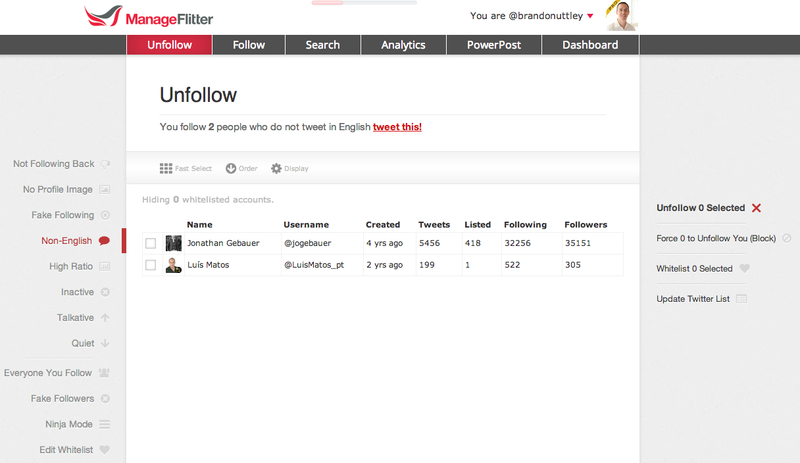 ManageFlitter is the place to do it. This site let’s you quickly unfollow fake accounts or people who are not following you back. 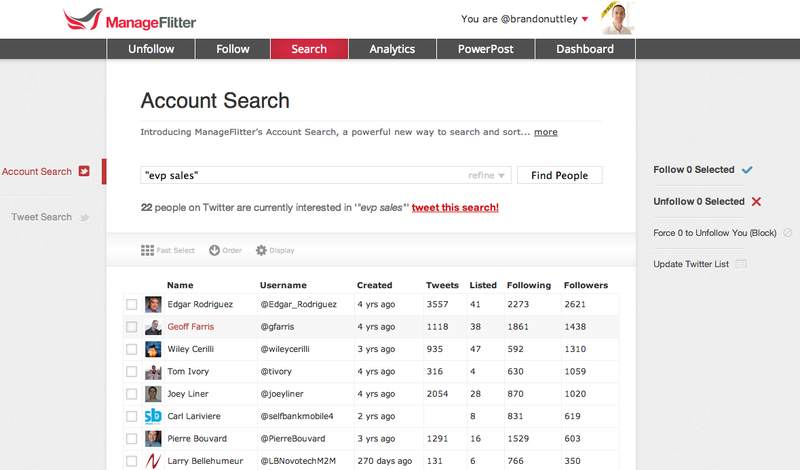 There is also powerful search feature that lets you find people by keywords in their profile and follow them. ManageFlitter includes some Twitter analytics on your followers which are marginally interesting (such as who followed or unfollowed you), but I don’t consider them essential. Perhaps the best semi-hidden feature is the ability to automatically cross post from your Google+ account to Twitter (with a Pro account). For those of you who think Twitter is becoming less effective (I do), this will help you focus more of your time in Google+.